We invite you to discover CityDent! 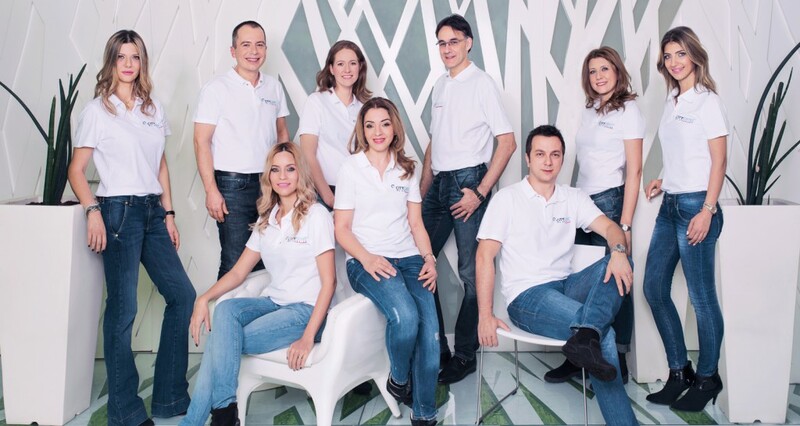 When you will visit us at CityDent you will discover that your smile is our top priority. You will notice that our efforts aim to secure your comfort state. We offer personalized treatments and approaches for each patient, including for fearing ones. We are sure you will perceive us as competent dentists which succeed in retouching your personal charm. We will offer you the smile you always desired – and nature couldn’t highlight as much as you wanted. We will beautify your smile and change your life for the better. For us, smile improvement is a systematic process governed by natural esthetics, health, functionality and psychology rules meant to create – thorough dental changes made in anatomical and physiological limits – a positive influence on a person’s general face esthetics as well as personality as a whole. We all appreciate a beautiful smile but often find it hard to explains what makes it so beautiful. After nine years dedicated to our patients, it is clear to us that a pleasant smile is based on the following features: the quality of it’s dental an gum components, their alignment to structural beauty rules, the distance between teeth and lips, as well as their incorporation to the rest of the components which define a patient’s facial expression. Experienced professionals will answer all of your questions and offer you the optimal treatment to maximize the esthetic and functional effect of tour presence in our clinic. As a patient, we desire to make you feel treated as you always wanted, to quality and satisfaction standards never met in other places. The care and attention you receive in our clinic will be personalized in order to satisfy your personal needs and expectations. Wanting to offer the highest standard professional services we try to give you detailed information regarding the maintenance and improvement of dental health and esthetics. We hope our web site is a reliable source which offers all the information you need for your dental health. It includes the City Dent Personalized Program which is permanently updated. We invite you to visit it often to find out new data about our services. We hope to transform your visit to our clinic into a pleasant and comfortable event. Do you want to learn more about the beauty and health of your smile?